Family is the key foundation for every child to grow and to be someone in their adulthood. Unfortunately, nowadays the values of a family have been decreased. Many parents fight over silly stuff or having affairs and they got into divorce at last. Number of children from broken family increase each year. It is a sad phenomenon knowing that our future generation has lost their basic foundation of being loved and accepted. 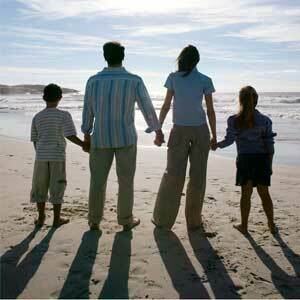 The main function of a family is to be the best place for children to grow up and accepted by their parents. In this smallest community, children can learn on how to love, how to be loved and how to share their opinion without yelling, screaming or attacking. Family is meant to be the best place for every child to feel the warm of ‘home’. It’s not merely a place to go home to, but it’s a place that will live forever in a child’s heart. When children grow up without having experiences of fully functioning family, they tend to be fragile and can’t resist against high pressure or stress in their later stage of life. Children will feel alone and excluded, because they can’t share their thoughts and feelings to their closest member of family. They will feel rejected and don’t know how to love or respect others. No wonder many children are living their own way of living on the streets and ignore others, just as their parents have ignored them. Hopefully children in the future can feel the goodness of having a fully functioning family. So, they can grow in a better situation and get supports from their parents.